When was the last time you bumped into a Werewolf at school? Set on a hill high above the town of Wexbridge sits a tall, stone castle. Surrounded by turrets and a giant stone wall, this is Monroe’s Academy for the Different. The children that make their way to and from classes within these walls are not like you or I. There are Vampires, Werewolves and many more besides. These monsters have led to the school earning the nickname Monstacademy. Imagine Trixie Grimble’s distress when a beautifully handwritten letter arrived in the post on an otherwise lovely summer day telling her that her own school was being closed and she’d been enrolled at Monstacademy! Can Trixie get over her fears in time to save the school from an evil plan that threatens her old life as much as her new? Find out in Trixie Grimble and the Halloween Parade, available now in both standard and adapted dyslexia friendly editions from Amazon or signed from my merchandise page. 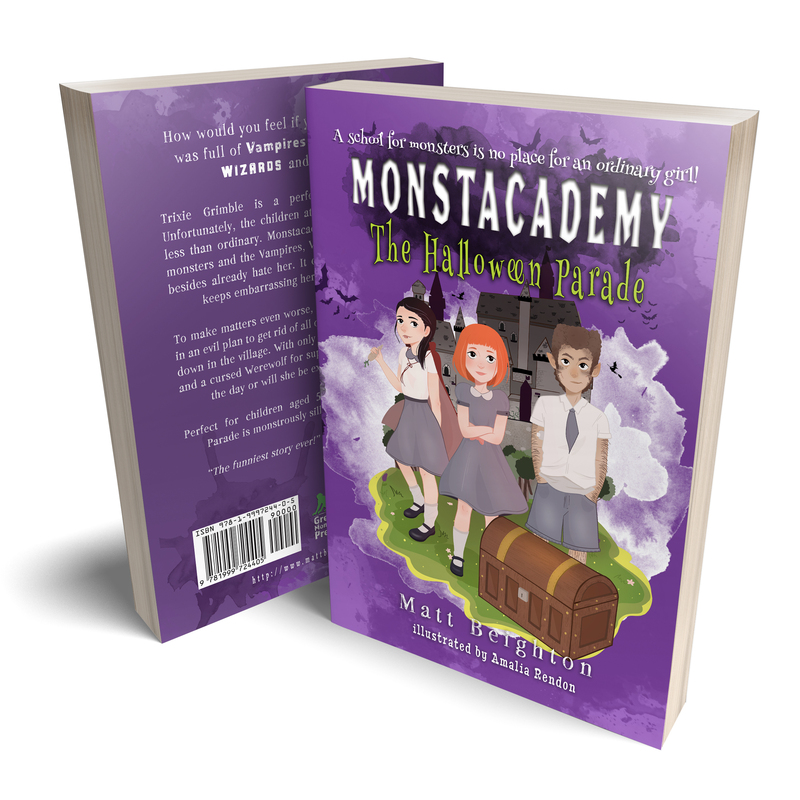 Love The Halloween Parade and are craving more Monstacademy? The Magic Knight puts you in control of the action. A classic choose your own adventure gamebook with appearances from all of your favourite characters, this is one book you’ll read over and over again, if only to try to find all five hidden gold coins! Available now in both standard and adapted dyslexia friendly editions from Amazon or signed from my merchandise page. As a teacher, I’m aware how difficult it can be to find books that are of a suitable interest level but that are designed for children with dyslexia or visual impairments. 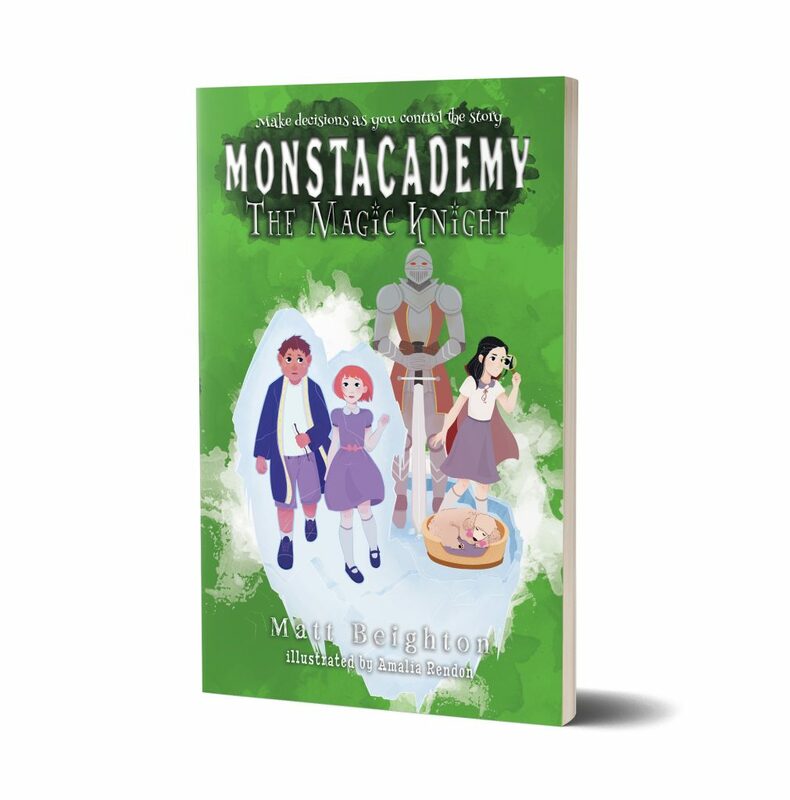 All of my Monstacademy books are available in both standard and dyslexia friendly formats. These have been designed based on advice from the British Dyslexia Association and the differences can be seen below. 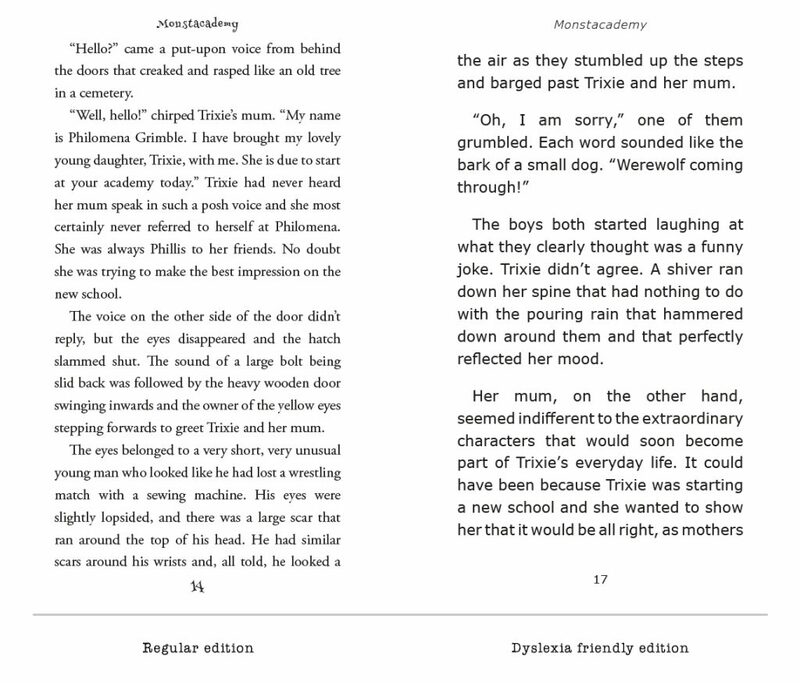 All cover artwork is identical and there are no outward identifiers that the book is a dyslexia friendly edition.